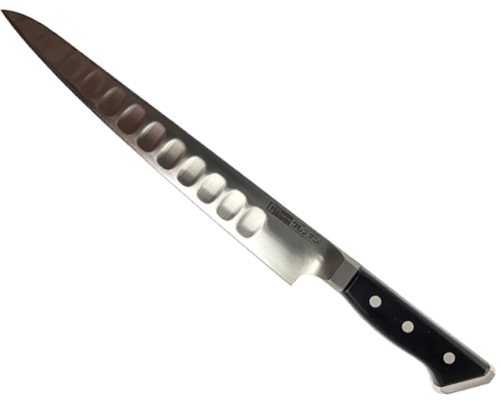 Také 210 mm (8.3 in.) 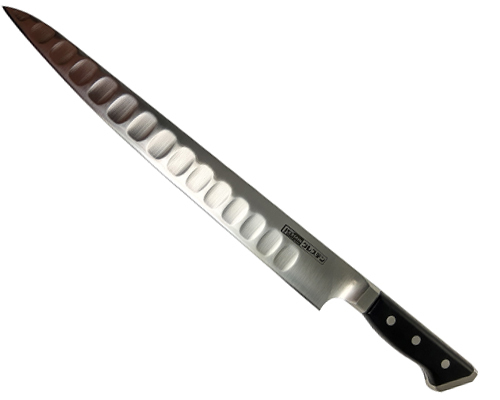 Left-Handed Yanagi slicer. 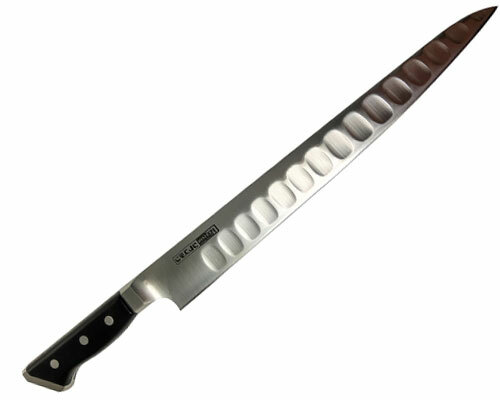 You can expect this knife to be ground extremely flat. 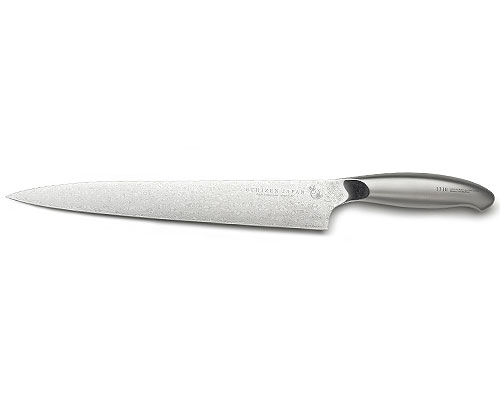 While they are sharp out of the box, they tend to get better and better with use and subsequent sharpenings as you burnish and true the edge. 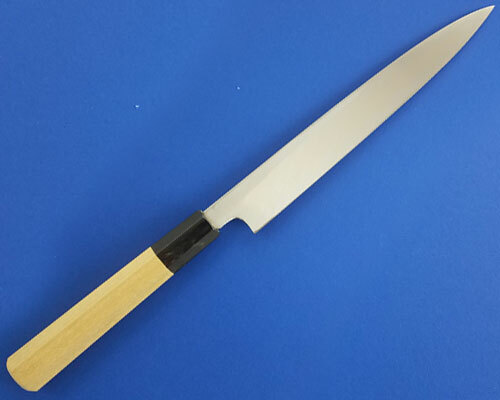 This 210mm shorter Yanagi is suited for precise sashimi work that would be more difficult with a longer Yanagi. 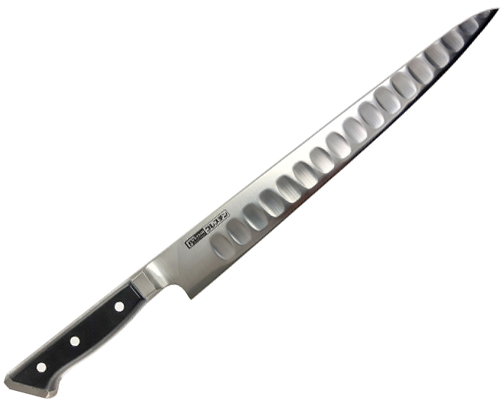 One of the best cuts to perform with this knife is the difficult Usuzukuri slice common with fresh fish. 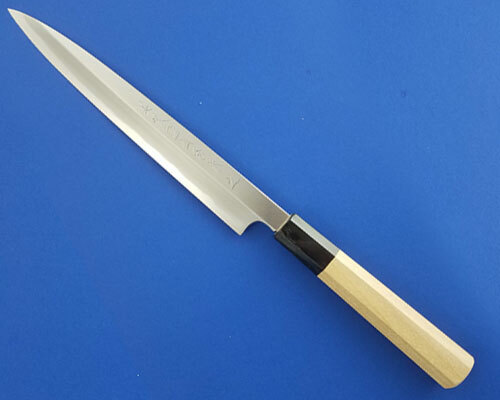 The smaller Yanagi is better for this, as precision is key, the cuts should be so thin that the tip of the blade is visible through the fish as you slice. Finish Sharpen? Yes No What is finish sharpening?